I’m back!. Busy season was much worse this year than normal. Through mid-September I was working up to 14 hours a day, 70-75 hours a week, which didn’t leave much time for anything else. I hope I never have to do that again. Since then, I have been working on planning my daughter’s wedding. Actually she’s my step-daughter, but I raised her since she was 7, so I have laid claim to her as her mother. She is getting married on Oct 19, so I am trying to plan a wedding in just under 5 weeks. That’s not waiting ’till the last minute, is it? It’s not that I wanted to wait and do it all in one month, it’s just that I didn’t have time to fit it in with all the hours I was working. Thankfully, she had the location picked out and a general idea of what she wanted. Also, thankfully, it is going to be a fairly small wedding – just 50-60 people. But small doesn’t mean lacking in any area, so there is still much to be done. And as someone who believes in doing my things myself, this is a DIY wedding. Week 1: Search Pinterest for ideas. Total success! There are so many great ideas on Pinterest. We have very creative people in this world, and I am very thankful that they are willing to share their ideas. Country or rustic weddings seem to be all the rage right now. We are doing a spin off of that — a little bit of rustic, with little bit of lace. I think I would call it Shabby Chic. At least that’s how it is coming together in my head. I hope it ends up looking just as nice in person. Week 2-3: Search for and buy all supplies. Found some good deals on Craiglist, the local thrift store, and a local consignment shop. Had to buy a few things new, but not much. And although I couldn’t find everything I was looking for, I found things I could substitute. Weeks 3-4: Crafting. I am making the flower girl dresses and hairpieces, ring bearer bow tie and suspenders, the ring box and a sign for the two ring bearers to carry, bride’s headpiece, wedding favors, all decorations for the wedding and reception, and many more things to mention. Week 5 which starts tomorrow: Finish up the decorations and make all the food. I didn’t get as many things made last week as I had hoped. 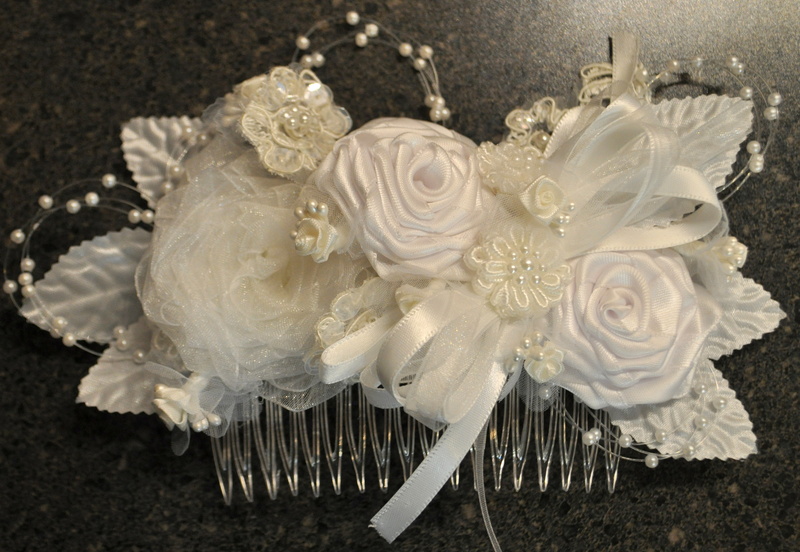 In fact, all I got done was the flower girl dresses and the hairpiece for the bride. Thankfully I am taking this next week off work; otherwise, I’m not sure I would be able to get everything done. Hopefully, it will all come together without too much stress. But I expect to be very, very busy for the next week. Thankfully, other members of our family are handling other parts of the wedding. My mother-in-law is making the cake, my sister and niece are doing the pictures, a friend of the groom’s will be the DJ for the afternoon, and my (step) daughter’s mother is doing the flowers for the bridal party. Oh, and did I mention that we also had 3 family birthday’s this week. 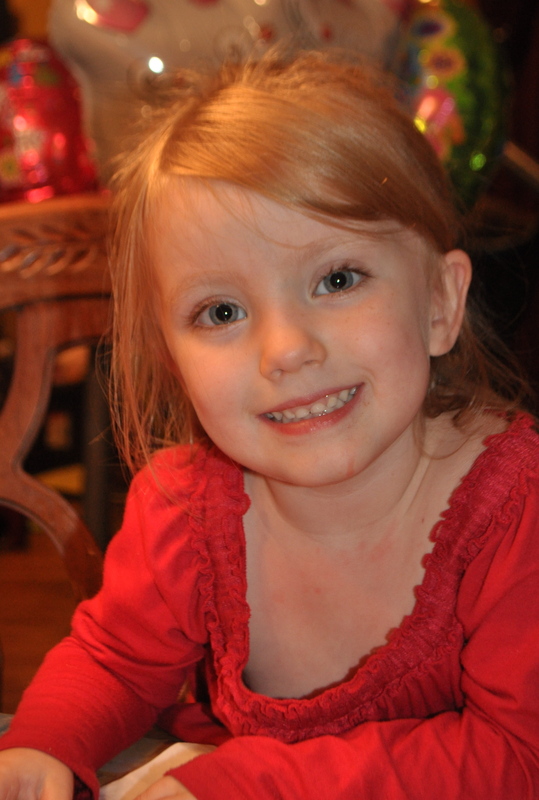 My oldest granddaughter turned 4 yesterday. She is growing up so fast. And honeyman’s brithday is tomorrow. I’m making things to take to the fair again this year and they have to be turned in no later than this coming Monday morning. There really is too much going on in my life right now. Even with as much fun as I am having doing the stuff for the wedding, and as busy as I am with everything else, I so want to quilt! I really miss quilting. It has been at least 10 weeks since I have had time to work on even a little quilt. So, that is my plan for the last half of October and all of November — QUILT!!! Well, as much as I can with working full-time, traveling several weeks for work, and babysitting 5 nights a week. Oh, why do I have a feeling I’m going to have a hard time fitting it in even then? And, even though these are not quilting finishes, I do have several finishes, so I am linking up with Finish it Friday at Crazy Mom Quilts, Link a Finish Friday at Richard and Tanya, and Can I Get a Whoop Whoop at Confessions of a Fabric Addict. 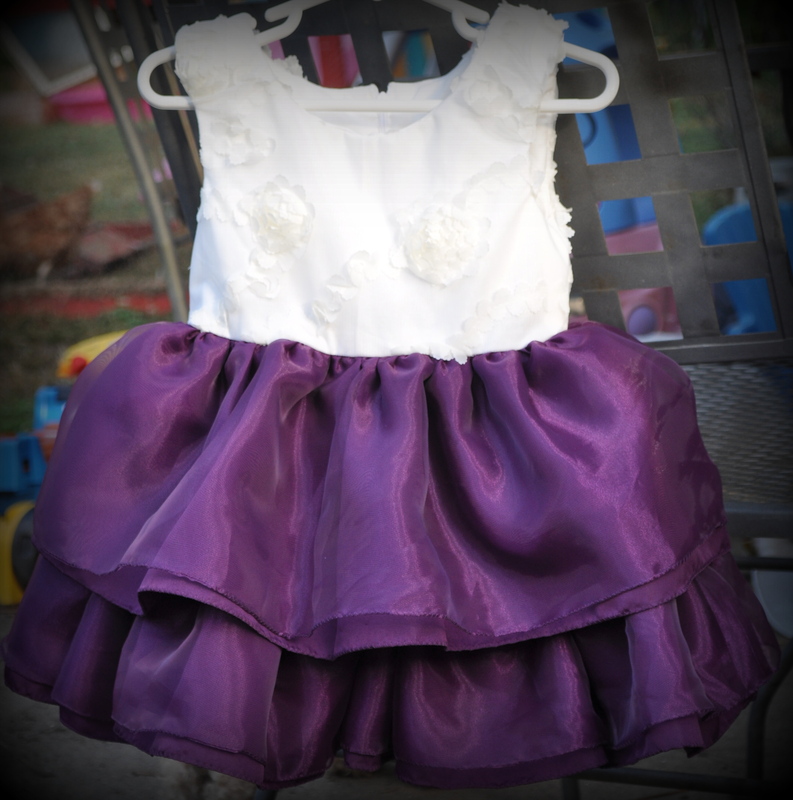 This entry was posted in Family, Quilting/Sewing and tagged birthday, flower, girl, planning, wedding by monkeyneedle. Bookmark the permalink.